Tennessee Gov. Bill Haslam vetoed a bill Thursday that would have made the Holy Bible the state’s official book, more than a week after the controversial measure reached his desk. 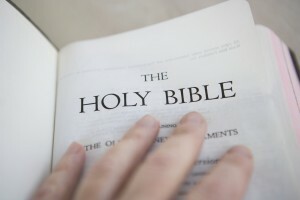 Echoing concerns in a legal opinion issued by Attorney General Herbert Slatery last year, the governor said an official endorsement of the Bible would violate clauses in federal and state constitutions. Beyond the constitutional worries, the House Bill 615 “trivializes the Bible, which I believe is a sacred text,” Haslam wrote in a letter to House Speaker Beth Harwell. If Haslam had signed the bill, Tennessee would have become the first in the nation to designate the Bible as an official state book. The Bible would have joined Tennessee’s roster of state symbols that included a .50-caliber sniper rifle, salamander and raccoon. Elsewhere, previous attempts have been made in Mississippi and Louisiana to designate the Bible as an official state symbol, but failed to move forward. “If we believe that the Bible is the inspired word of God, then we shouldn’t be recognizing it only as a book of historical and economic significance,” the governor said. Republican Sen. Steve Southerland and other supporters of the bill have already signaled that they plan to override the governor’s veto next week, The Tennessean reported. The Tennessean said the governor has “relatively weak veto power,” and that only a simply majority in the House and the Senate is needed to override Haslam’s decision.